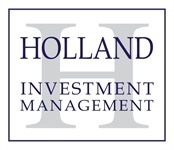 At Holland Investment Management all client information is held in the strictest of confidence. However, a dozen or so of my long term clients have been kind enough to let me share their names and cell phone numbers with prospective clients. If you are interested in a list of client referrals please call Gary directly at 817-698-9800.